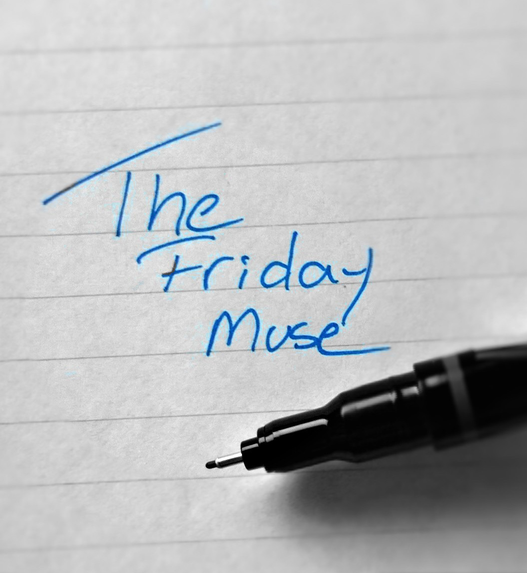 Today’s Friday Muse piece was written a while ago and was actually used in my short story episodic experiment, The LZR Project. 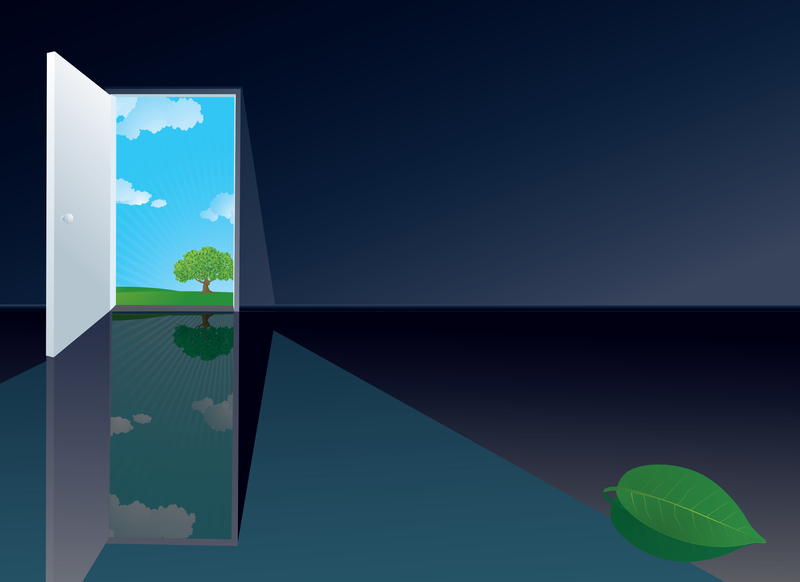 Veronica Amorou – a character from my Expired Reality series – muses on Black Doors, a supernatural phenomenon involving possible alternate dimensions. The train started up and began its journey through the Wasteland. Veronica peered out the window every so often, but there was really nothing to see. There were no lights in the Wasteland, save for light bulbs of solo shacks, or random campfires of outposts adventurers made while journeying through the sand-drenched desert. During the day, black paneling came down over the windows, blocking one’s view from the Wasteland itself. Violence was a common occurrence out here, but more so were attacks from the random beasts which inhabited the Wasteland. A family sued the train company years earlier when their child witnessed a horrific dismemberment of an adventurer who came too close to a Riptosar. At night though, at a time when the sun escapes the evils of the day and retreats to make way for the more courageous moon, there was no need to block the windows. In fact, the random campfire glows and electric beacons provided small tokens of hope, proof that life existed out here in the middle of nowhere. Veronica recalled history lessons about the Wastelands in high school. Adventurers went in, so few came out or made it to the other side. Either the wilderness killed the unprepared ego trip, untamed beasts of all shapes and sizes tore the ignorant limb from limb, or some actually managed to get lost in some of the Wasteland ruins, which were said to have existed many thousands of years before Anaisha was even colonized. Veronica remembered one particular story about a young man – brash and full of spitfire – who led a small team into an underground ruin near the Sarlin mountain range. Montgomery. That was his last name, I think. Montel Montgomery was his full name. The ruins were said to be inhabited by dark creatures and a rare artifact, but Montgomery and his team never returned. When another expedition crew went into the ruins after him, they came back with reports of a large chamber full of doors. Black doors with silver knobs and strange symbols etched around the doorframes. The doors were said to float above the stone flooring of the chamber, no strings attached, no hover lifts. Whispers filled the chamber, but nobody in the expedition team could make out what was being said. Nowhere else within the vast ruins were the doors found, and when the doors within the one chamber were counted, the number came out to four dozen. The expedition team claimed they weren’t able to open any of the doors, and even if they could, each one of them said they didn’t want to know what was behind them. After hearing that story, Veronica spent many weeks researching black doors. The Black Door Phenomenon, in particular, was something that had been experienced by a few dozen people across Enera, each in a different location. People would turn a corner or enter a room or even wander outside, and suddenly there would be a black door. Some even said they would go to their neighbor’s house and their neighbor’s door would be replaced with a black door, with the strange symbols around the frame. Each black door had a different set of symbols, making interpretation nearly impossible. Some people reported being able to open the doors by turning the silver knobs. Once opened, they said they saw a variety of different things: apartment buildings, futuristic spacecrafts, alien species, and sometimes horrors beyond explanation. No research uncovered a report of anyone ever stepping through the doorways. Veronica figured it was because anyone who ever did step through the doorways – and she was sure there were people who did out of a curious compulsion – were never able to come back to tell anyone about it. The going theory right now was that the doors opened to other realms. Veronica leaned back in her seat and wondered what it would be like to come across a Black Door. She wasn’t sure she’d walk through one if she were able to open it. To explore other realms was something that kept her curiosity at its peak, even though common sense and self-preservation kept Veronica from really committing to the idea of jumping through one of those Black Doors.